On Instagram I see tons of people posting modular origami, and many of them seem to only post this genre of origami. 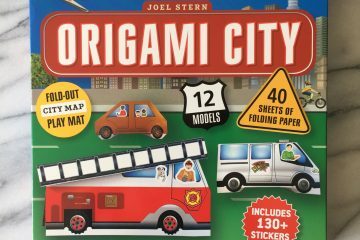 Personally, I’m not particularly into modulars; I prefer to fold out of one sheet, or when I fold modulars, it’s folded out of less than 6 units. Well, because I’m a rather lazy folder. I tend to get tired of repetitive folding. 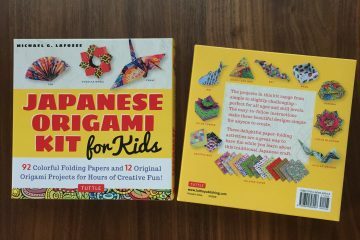 But when I received Mind-Blowing Modular Origami by Byriah Loper from Tuttle Publishing, I felt inspired to try my hand at some of these models, since they look literally mind-blowing! There are instructions of 19 modular models in this book. 7 of them are kusudama-like decorative modular models, and the rest are interlocking wire-frame models. The range of units are anywhere from 4 to 650! Most are 30 or 60 unit modulars. The only model that I’ve folded out of this book so far is Triakis, a 30-unit kusudama. Honestly, I enjoyed folding this model more than I thought that I would. It was soothing to fold each unit repetitively, and it was also a fun challenge to tackle the assembling, sort of like working on a puzzle. I got a better sense of how addicting modular origami can be. “Triakis” folded out of copy papers in 5 pastel colors. The diagramed instructions are clear and well explained, including the assembling parts. Basics and other resources are also covered. Another “mind-blowing” fact about this book is that the author is quite young (I’m guessing in his early 20s) and has started folding only 7 years ago at the time of his writing. 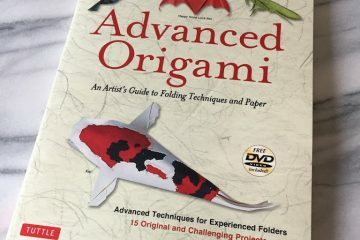 I recommend this book to any origami enthusiasts, but especially those who enjoy modular origami!